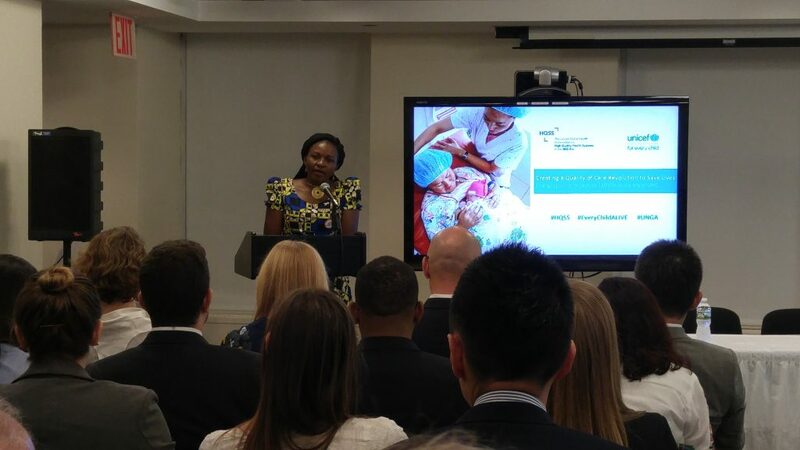 In New York City on September 25th UNICEF’s Every Child ALIVE campaign and The Lancet Global Health Commission on High Quality Health Systems in the SDG Era co-hosted an unofficial side event during the 73rd session of the UN General Assembly. 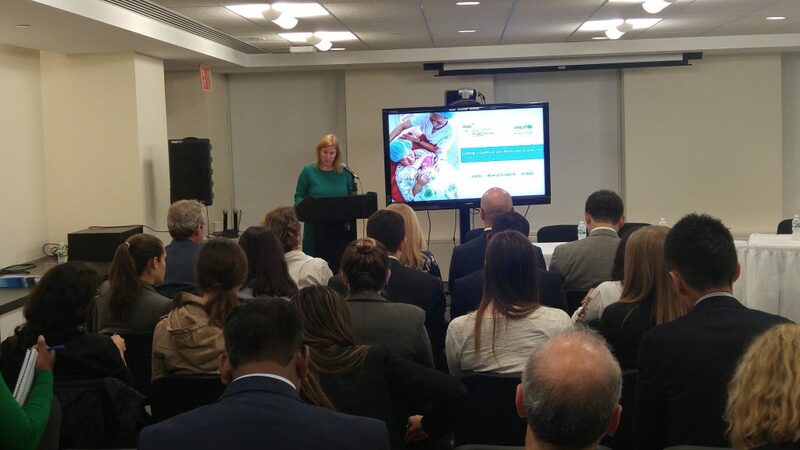 The event aimed to spur a discussion on how to create a quality care revolution that ensures every mother and child has access to the quality care they deserve. The room was filled with delegates from governments, civil society organizations, and the private sector. After a welcome from Meg French, the Every Child ALIVE campaign lead, there was a brief overview of the Commission findings and recommendations by Dr. Margaret Kruk, Chair of the HQSS Commission. Following Dr. Kruk’s presentation, Tatjana Von Steiger from the Swiss Agency for Development and Cooperation expressed the agency’s support for the Commissio’s work and dedication to bringing quality care research to the frontline of national agendas. A selection from her statement can be viewed here. One of the most powerful moments of the morning came from Angela Nguku, National Coordinator for White Ribbon Alliance Kenya and a member of the Commission’s People’s Voice Advisory Board. She spoke about her time as a midwife and gave a passionate plea to focus on the quality of delivery care being offered in rural settings. Angela’s presentation also highlighted the role that civil society can play in igniting demand for quality and pushing the national agenda. The morning concluded with a panel discussion and Q&A session. Many of the Commission’s key themes were highlighted by the panelists: the need to include quality as countries work to expand primary health care was mentioned by Dr. Will Zeck from UNICEF, the importance of listening to the patient perspective and particularly the voices of women was emphasized by Dr. Lelia Varkey from the White Ribbon Alliance India, and the need for multisectoral efforts to improve quality care and the role of the private sector was discussed by Mr. Tamamuro Toshio representing Takeda. The audience seemed most interested in how the work will move from research to action, and many of the questions revolved around how to give the Commission’s work traction and spur national policy changes. Defining quality care can often seem complex or unclear. Everyone in the room was asked to respond to “What does quality care means to you?”. 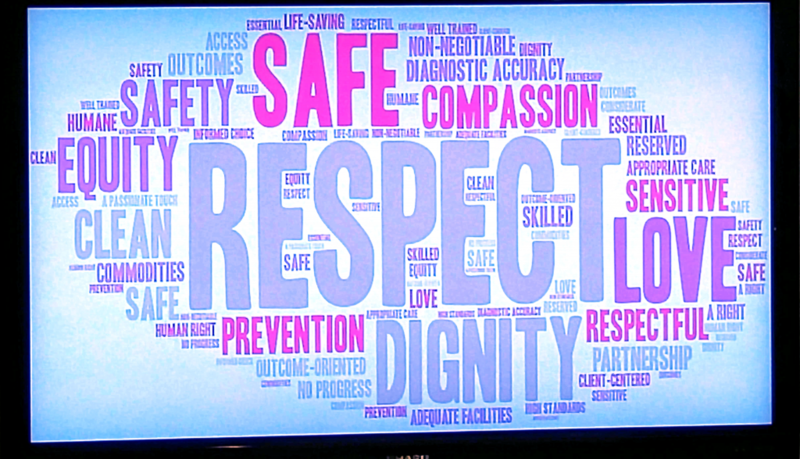 The results were collected in a word cloud during the final statements, resulting in the overwhelming message that the patient experience matters.